Have you ever heard of Mt. Kilimanjaro? Want to know what it’s like to climb it and all the information you need for doing so? Or just want to see the pictures of what it’s like? Either way scroll down and you’ll find both! 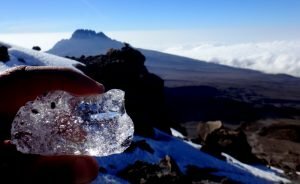 Kilimanjaro…what a name, right? It is a powerful name that stayed with me from the first time I heard it. And considering I felt like I almost died climbing this legendary mountain, it would have been a name that would stayed with me for eternity! But more of that later… for now let me tell you about this amazing mountain and what it’s like to climb it and get to the top of Africa! 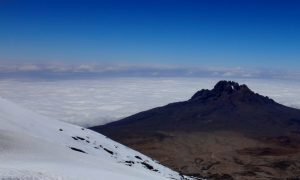 Mount Kilimanjaro, which is believed to mean “White Mountain” for its snowy peaks is a dormant volcano in Tanzania with 3 different peaks. 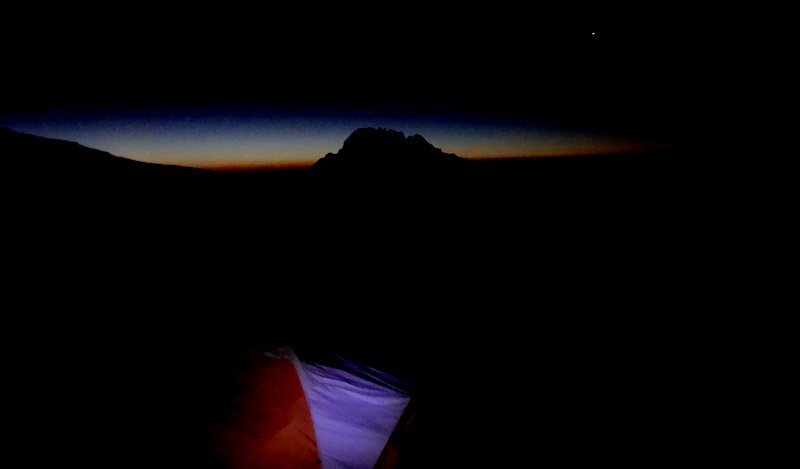 Kibo, being the highest and the one that most people climb to try to reach the peak that stands at 5,895 meters/16,100 feet. 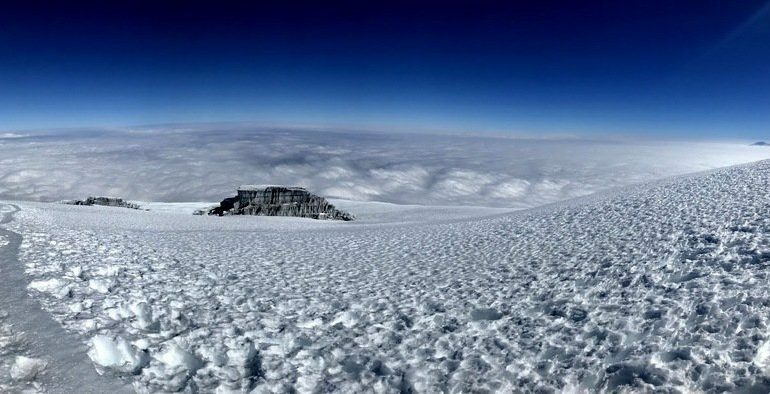 At almost 6,000 meters it is the highest mountain in Africa and the highest freestanding (meaning it’s not part of a mountain range) mountain in the world. It is so amazing when you get above the clouds…which you are most of the trek. You are rewarded with surreal views making you think you are in heaven. As Mt. 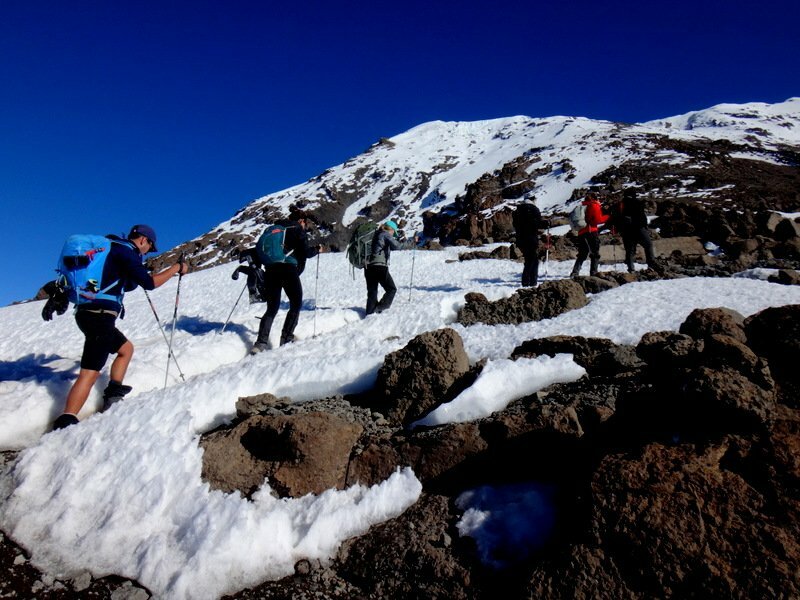 Kilimanjaro is quite big and there are several different routes to get up and down the mountain. 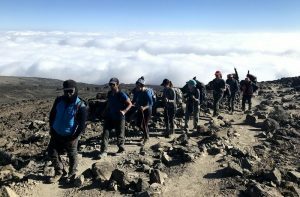 The most recommended to me and by most people is the Machame Route that you can do in 6-7 days. (click here for an overview of all of the different routes) This route is beautiful because you get to go through very different landscapes from rainforests with monkeys at the beginning and climbing up to arctic settings at the top! 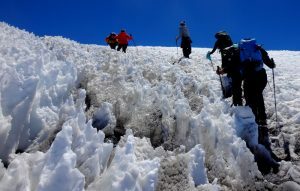 The trek is very reasonable in difficulty, but if you want to get to the top of the mountain and reach the summit, the day you try to do this will be tough. How tough? In my particular case, on summit day I struggled so much at one point that I thought my heart was going to explode from how much it was beating (I didn’t train at all for the hike). I admit that it even crossed my mind to quit it felt so hard. I am SO glad I didn’t as it was one of the most rewarding feelings I’ve ever had to make it to the top and enjoy the stunning views! 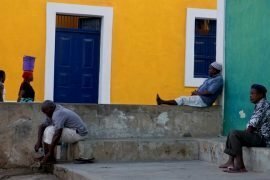 You will probably want to avoid the two distinct rainy seasons, one from March to May and another around November-December. April, May and November are usually the wettest months and not ideal for trekking. Where do you start the trek? The city closest to the mountain is Moshi, which is more like a lovely town, maybe the nicest in Tanzania. You fly into Kilimanjaro International Airport which is the closest airport about a 2 hour drive from Moshi. 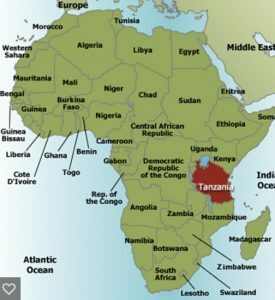 You can also reach Moshi by bus from almost any city in Tanzania. From Dar es Salaam it is around 10 hours and costs around $10 USD and buses leave from the Ubungo bus station between 6-9 am every day. 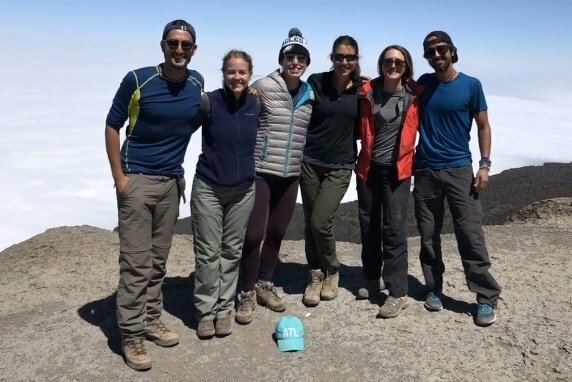 Who should you climb Kilimanjaro with? I did mine with Ringo Expeditions and I was very happy that I did. They have a good reputation of getting people to the top, and well deserved…out of our group of 6 people all of us made it to the summit. The tents were good and they made safety a priority and even had oxygen for us just in case we needed it. They had a great staff of guides, cooks, porters, etc. I definitely recommend them. Our group. Switzerland, U.S. and Colombia all made it to the top. While some people had told me that the views aren’t so great, that it’s more about the challenge, I found that to be wrong. I thought the views were stunning! Most of the time you are above the cloud line which is really special to see and feel that you are high in the sky above the clouds! 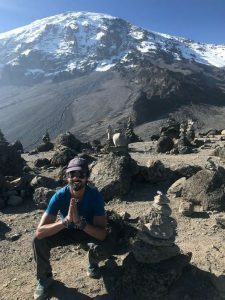 And indeed it is a challenge…and no matter how far you decide to go (many people don’t try to get to the summit, but as high as they can), it is great to push yourself and see if you can reach new heights and limits and enjoy the heavenly views! And there might also be a slight factor of urgency… due to climate change the glaciers are shrinking and the ice fields are disappearing. 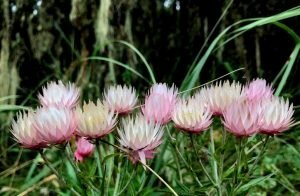 Scientists think that in the near future there won’t be any snow at the top, as it has decreased dramatically in the years so better to go sooner than later if it interests you. 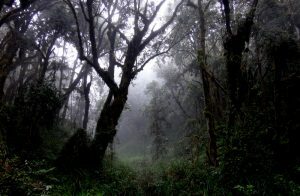 At the beginning of the climb, at the base of the mountain the average temperature is around 21 to 27 degrees Celsius (70 to 80 degrees Fahrenheit). 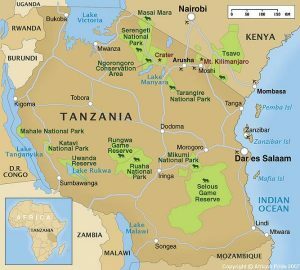 From there the temperatures will decrease as you move through Mount Kilimanjaro’s ecological zones. 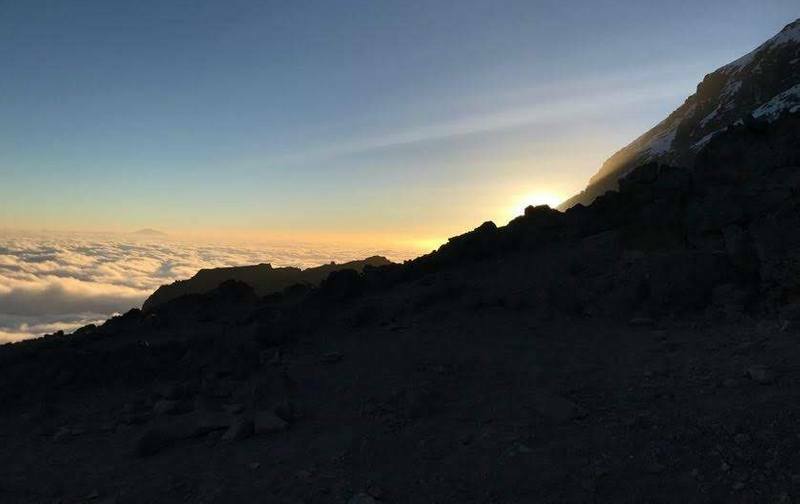 At the summit, Uhuru Point, the night time temperatures can range between -7 to -29 degrees Celsius (20 and -20 degrees Fahrenheit). Due to Mount Kilimanjaro’s great height, the mountain creates its own weather. It is extremely variable and impossible to predict. Therefore, regardless of when you climb you should always be prepared for wet days and cold nights. The sun turning night to day as we started climbing to the summit. Keep in mind that workers are often paid very little, so you are expected to tip the staff (check with the company you do your trek with).Porters carry the tents (the one’s you sleep in, the one they cook in, the one you eat in, the bathroom tent, etc, your luggage and equipment, the food you’ll eat during the trek and everything else you use on the trek up and down the mountain. These guys carry up to 30 kg/66 pounds of weight up and down the mountain. There are also cooks, guides, etc..
To give you an example for group of 6 “tourists” there was a staff of 23 (18 porters, 3 guides, cook, assistant cook) and we all gave $280 USD per person in tips. 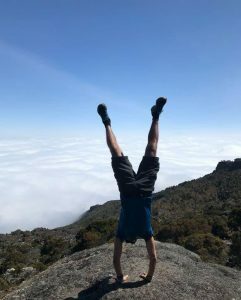 While it is a lot of money, when you see with your own eyes how tough it is to climb the mountain and add to it that they do it carrying 30 kg/66 pounds and need the money it makes it clear. The amount of people in your group will be important in determining the size of your team and how many people you’ll be dividing the tips between. And somehow I made it to the top of Mt Kilimanjaro…My new record…hope to break it of course! What should you pack for the hike? First, You can rent or buy all the equipment you would need in Moshi at reasonable rates. I did this. That way you can avoid having to buy/carry equipment there and back, etc. -Comfortable shoes. You don’t need to have hiking boots except for the day of trying to reach the summit as that is the only day you will encounter snow and will want waterproof shoes. -Another pair of shoes other than what you’ll hike in. -Clothing for cold weather (at night and at the top). Keep in mind that you should have at least 4 layers for your upper body. Water/windproof shell, Warm fleece/jacket, fleece, thermals. You should have 3 layers for your legs. 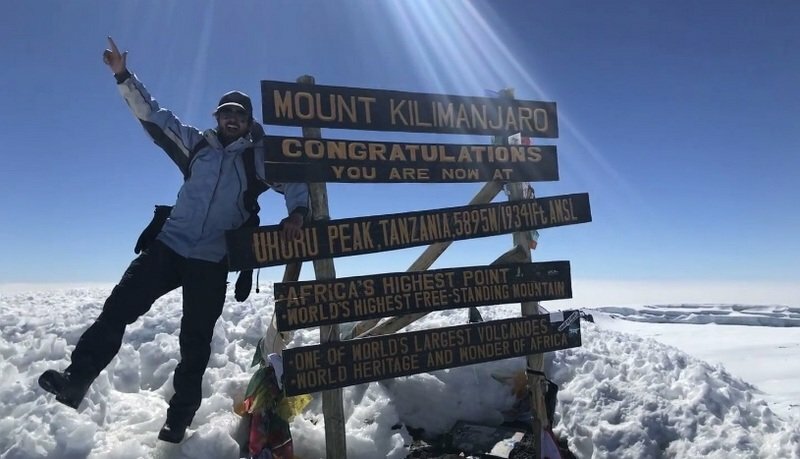 get to the top of Africa! -Hikiing pants (preferably with zipper to convert to shorts when warm during day). -Socks. At least 3 pairs. Smart wool is pretty cool. -For guys: bring a 1L plastic bottle to pee in at night, trust me you’ll want this to avoid having to get up in the middle of the night to go pee outside (I was recommended this and such a good idea). -Powerbank for electronics you will want to charge (to charge things on the mountain is like $5usd per charge if you are given the option). -Make sure your company takes oxygen for you just in case. -High altitude medicine. I didn’t take any, and was fine, but it is common for people to take. The other 5 people in my group were taking it as it supposedly helps you avoid altitude sickness. Please note that my trek with Ringo Expeditions was sponsored, but of course all views are my own.